The millennial generation is the next up-and-coming group of people who are preparing to take over funeral home business operations. In fact, millennials are expected to make up 50% of the general workforce by 2020. It can seem like a difficult task to find and keep employees who are part of this younger generation, and for good reason. The average millennial holds 7.8 different jobs between the ages of 18 and 30, which can make them seem unwilling to settle down. The truth is that millennials want to be treated just like any other employee, with a few select differences. Discover what you can start doing today to more easily recruit and retain millennial employees. Recruit millennials where they spend their time, and highlight that you can provide purpose, added benefits and a willingness to meet expectations. Give millennials some type of work-life balance, even if it isn’t a typical version. Create a sense of belonging at your funeral home by challenging millennials and allowing them to think creatively. Discuss the possibility of career advancement and what each employee can do to move into different positions at the funeral home. As you begin looking for people to fill positions at your funeral home, consider recruiting millennials where they spend the most time. This includes mortuary schools, funeral service conferences and community events. Posting job openings on your social media accounts (like Facebook or LinkedIn) is also a great way to attract members of this younger generation. Millennials aren’t using traditional methods of job recruitment, such as newspaper ads, as much as the older generations are. 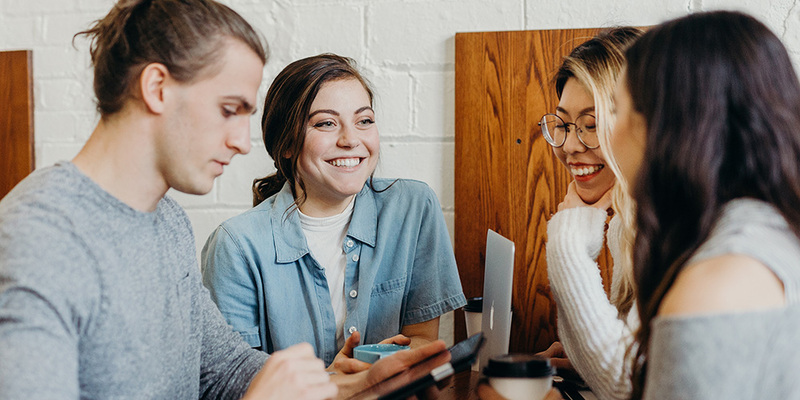 Once you narrow down your pool of applicants and start interviewing, it’s important to understand that millennials aren’t just looking for a paycheck – they want to work for a business with a purpose. As a funeral professional, you can very easily explain your funeral home’s mission and how that translates into your day-to-day operations. Make it clear that your business has a focus on helping members of your community and explain how. There are several other key things you can do during the interview process to get applicants excited to work for you. Consider discussing your benefits in a different manner. Millennials understand that most careers come with health insurance and a retirement plan, but what other benefits do you offer? Could your newer employee be designated as your community outreach person? Does your funeral home provide time off for volunteer work? Are you dedicated to preventing career burnout and fatigue? Do you have weekends off or use an overnight answering service? All of these added benefits will pique the interest of the millennials you are interviewing. There are also a few things you should avoid when recruiting millennials to your funeral home. First, never give false impressions of the work environment or hours. Unexpected differences between your description of the funeral home’s culture and reality could cause new employees to quickly find other employment. Next, don’t assume that every millennial you interview is the same and don’t let negative stereotypes influence your perceptions. It’s important to avoid comparing your career journey to theirs, as it may not be something that is relatable for them. And finally, don’t assume that job experience is the only important factor. Look for applicants with raw talent and a willingness to learn. Depending on the job market, millennials could have had to work several odd jobs before finding a career in their field. When you work in funeral service, it’s hard to promote work-life balance. Unfortunately, many millennials are actively looking for jobs with enough flexibility to support a healthy home life. Consider working with your team to figure out a way to provide some work-life balance, whether this includes dedicated days off, part-time or temporary staff help during busy times, assistance for family emergencies or illness or flexibility with vacation time. A common work-life balance request from millennials includes flexible start and stop times for coming into and leaving the funeral home. Consider letting employees come in later in the day if you’re not busy and you know they’re on call later that night. For all of the flack millennials get for being the generation of “me, me, me,” they tend to care deeply about their coworkers. Millennials want a sense of belonging at their jobs, which means they want to feel like an important and integral part of the team. There are several ways you can accomplish this, including implementing weekly one-on-one meetings to keep communication open and challenging them to think outside the box. Millennials are looking for ways to prove themselves in the funeral home, which is why giving them responsibilities and celebrating milestones will help them succeed. It’s also important to train your senior staff and managers to work better with all generations of employees at your funeral home, not just millennials. Millennials always have an eye on their future, which is why it’s important to consistently discuss where they see themselves several years down the road. Understanding their goals will help you work together to find learning experiences that will benefit them, like continuing education and leadership training. Keep in mind that your staff members are looking for career advancement opportunities and will find ways to move up in their career even if it means transitioning to another funeral home. Keep the dialogue open about the possibilities of moving up at the funeral home, and if there are none, be honest and discuss what else you could offer them. The bottom line is that millennials are important to the ongoing operation of many funeral homes. While they may be looking for different things from their jobs than the older generations, it doesn’t mean that you should avoid hiring them. We need millennials for the future, and they bring with them new perspectives and ideas. Hiring this younger generation could inspire change within your business and company culture just by allowing for new ways of thinking.